Home kodak news Kodak launches new disposable camera! Kodak Alaris continues to expand its catalog of analog range products. On this occasion, it does so with the launch of a disposable camera equipped with film for 39 frames and an ISO 800, exactly the same features as the other single-use camera that Kodak has on the market, the Kodak FunSaver. The difference? That it does not incorporate flash, so it is only suitable for shooting in broad daylight. Although Kodak has always maintained in a kind of "secret" the type of film they use for his disposable cameras, years ago it was known that they equipped their cameras with a version of Kodak Gold forced to 800 ISO, with quite acceptable results where, although a very visible grain appears, the colors are saturated and intense, so we assume that it is the same film. 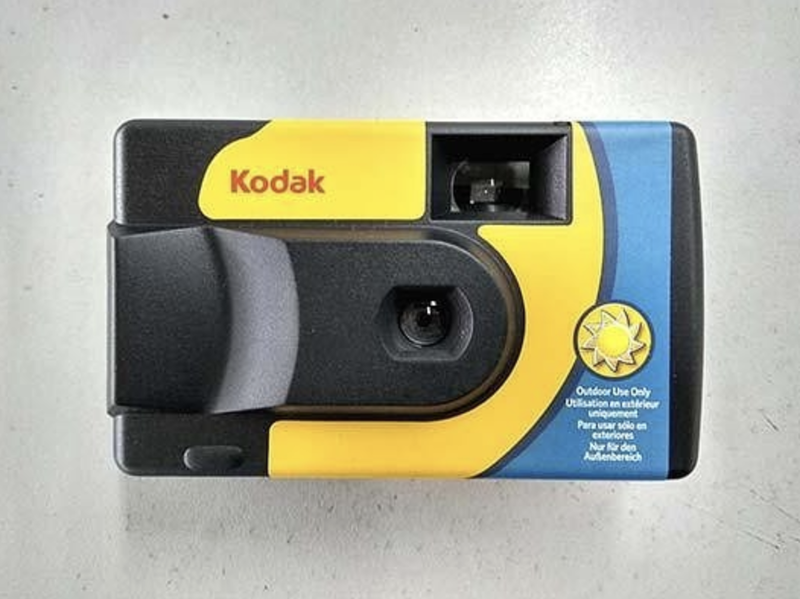 Surprising, however, that the design of the same is apparently so "90's" and does not follow the design guidelines of the renewed Kodak graphic identity manual. Is Kodak putting old stock in sal to sell its stores? It would be a topic to investigate. What is certain is that this camera can already be found in stock in Amazon UK at a price two pounds lower than the classic model with flash: 7.99 pounds.